Located near Bukit Puteri in Kuala Terengganu, it is the pride of the Sultanate institution in Terengganu. This palace is still used for official ceremonies such as the inauguration of Sultan Terengganu, circumcision, ear piercing, marriage and welcoming official state guests. Istana Maziah was built to replace Istana Hijau, which had burnt down. The Istana Hijau was built during the reign of Sultan Omar on 10 March, 1870. The architect of Istana Maziah is Tengku Chik Abu Bakar bin Tengku Abdul Jalil. He is a relative of Sultan Zainal Abidin III. Others also contributed towards the completion of the blue print and furnishing of Istana Maziah, including Engku Besar Paduka Raja Sayyid Abdullah bin Zin Al-Idrus, Muhammad bin Abdul Rahim (Encik Mat), and Dato Mata-Mata. Wood supply to build the Istana from Dungun came under the responsibility of Tengku Panglima Besar Tengku Muda Kechik. While bricks and chalk were handled by Tengku Besar Paduka Indera. The Istana Maziah had its early foundations built from a mixture of chalk, clay, sand salts, egg white and sugars. Almost 20 carpenters of Malay and Chinese descent were involved in the building of Istana Maziah. Several refurbishments were carried throughout the reign of Sultan Sulaiman Badrul Alam Shah (1920 -1942) and Sultan Ismail Nasiruddin Shah (1945- 1979). Further additions were carried out to the Istana buildings in 1972 and 1998. Pulau Lang Tengah is a very small island located between Perhentian Island and Redang Island. This little island is accessible by a 30-minute boat ride from the Merang jetty. According to locals, Lang Tengah takes its name from 'Lang' which comes from helang which means 'eagle' in the Malay language, and tengah, meaning 'middle'. Thus, Lang Tengah means eagles resting on the middle island. The island is very small indeed. A round-island trip by speed boat takes only 10 minutes. The beach is narrow and land is limited. 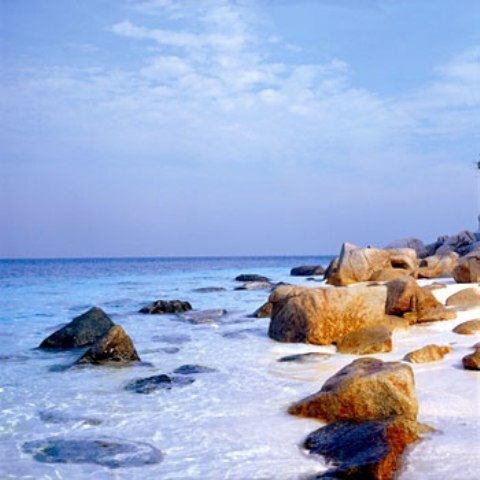 However, its small size gives it its best advantage - Lang Tengah Island holds only 4 resort operators, ensuring a peaceful visit. And the winning attraction of this tiny and peaceful island? Some of the best snorkelling and scuba diving in Malaysia! 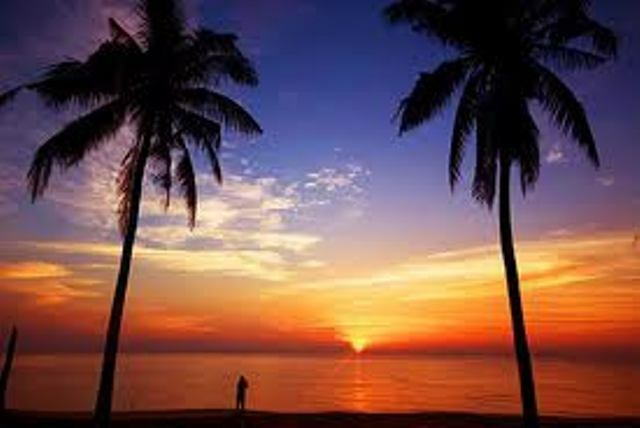 Kapas Island is situated offshore about 30 minutes by slow boat or 10 minutes by fast boat from Marang jetty, 20 minutes south of Kuala Terengganu. It is a lovely small island with beautiful, quiet, unspoiled sandy beaches; cool and clear blue waters, swaying coconut trees and caves with swallows nests. Its waters are home to beautiful marine life such as fish, turtles, corals and others. Making it a must-visit destination, especially for discerning divers and snorkellers, is the incredible variety of hard and soft corals, seashells, fish and turtles. The laidback atmosphere gives a perfect excuse to do nothing. Still, if you are feeling restless, there are plenty of activities to keep you occupied. Take your pick: diving, swimming, snorkelling, windsurfing, kayaking, boating and even fishing. Accommodation varies from deluxe and budget chalets offering air conditioned or fan. 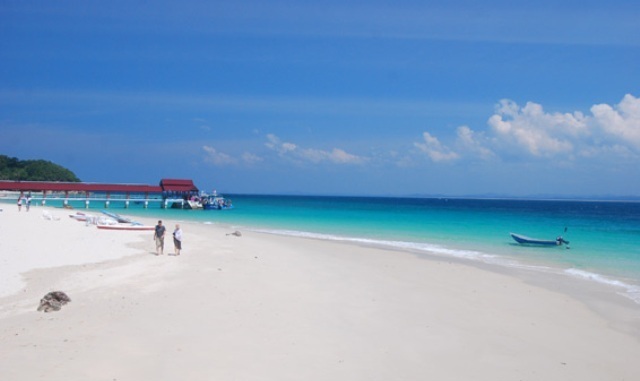 Pulau Perhentian, meaning 'stopover island', is not to be missed. Situated 21km off the coast of Terengganu, it consists of the islands of Pulau Perhentian Besar and Pulau Perhentian Kecil. Covered by unspoilt jungle, windswept palms, powdery white beaches and surrounded by sapphire blue waters, Pulau Perhentian is a sanctuary for fishermen, migratory birds and of course, discerning holiday-makers. Nestled near the South China Sea, Tanjung Jara Beach has a prominent stretch of golden sand, with powerful waves striking its shores. Catch the sunrise or sunset with the winds whipping in your face, albeit with a gentle breeze. The beach provides an excellent location for windsurfing, boating, kayaking, snorkelling and diving. Turtles also frequent the beach during the 'turtle laying season' from the months of May to September. The silence here is a welcoming treat, and makes for a perfect getaway from the hustle and bustle of everyday life. Acclaimed as the largest museum in South East Asia, the Terengganu State Museum Complex houses century old artefacts and artworks of rich and colourful heritage. 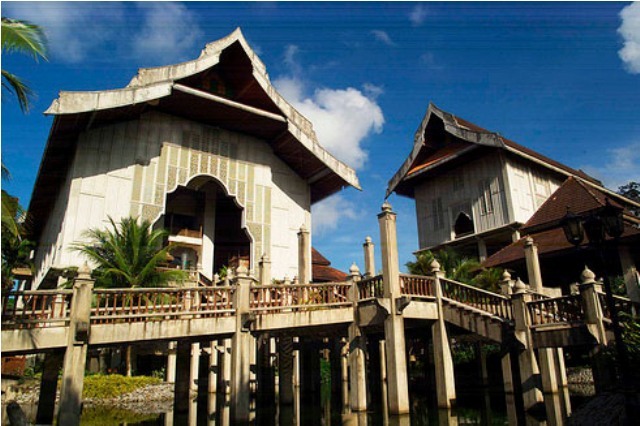 Located on 27 hectares of land in Bukit Losong, Kuala Terengganu, the complexes itself are an impressive architectural feat, based on the designs of Terengganus old palace. 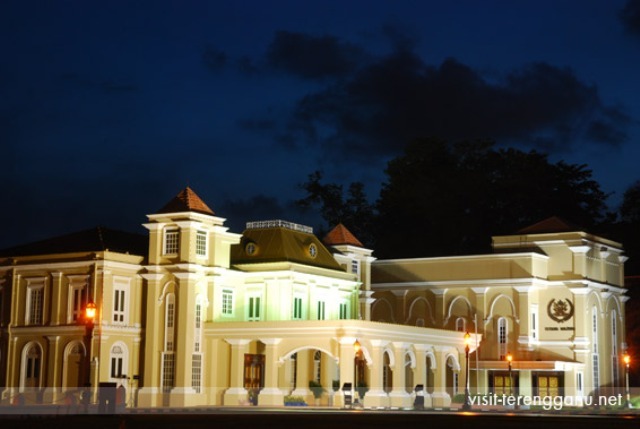 It comprises a Main Museum, a Maritime Museum, a Fisheries Museum, 4 traditional houses and botanic and herb gardens. The Main Museum is built on 16 concrete stilts with galleries showcasing textiles and weaving techniques, traditional weapons, crafts, historical, royal regalias, nature, petroleum development, Islamic arts, new generation and contemporary arts. The other 4 blocks are adjoined, to represent a large family. At the main entrance of the main complex, lays the famous original Batu Bersurat of Terengganu. 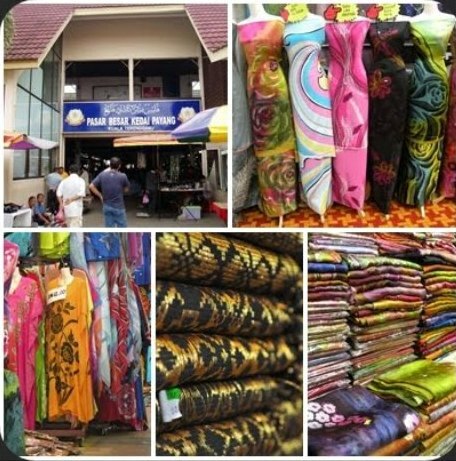 Visitors from hotels could contact any of the local travel agencies to arrange for a fun Kuala Terengganu Town Tour which includes visit to the State Museum. Or fancy the traditional boat cruise along the Terengganu River that also stops at the State Museum. For those wishing to drive themselves to the Museum, they have to take the route to Kampung Losong which is famous for its keropok lekor, a famous local delicacy. From there one can see the majestic looking museum, on top of Bukit Losong.